There aren't many better known online gambling brands in New Zealand than Lucky247, and they have built their reputation up by consistently offering fantastic online gambling services. There are many fantastic things to be said about this online casino – as well as a couple of criticisms to make – and you'll be able to find out all about them when you read through this Lucky247 review! If you want to find reviews of most of the online casinos open to players in New Zealand, you’re in the right place. This is because we specialise in creating insightful, comprehensive and honest online casino reviews, including this Lucky247 casino review. Once you are finished reading through this review, or any other review found on this site, you should know exactly whether you want to sign up or not! Are you simply looking to find a quick breakdown of what we think of this site, instead of reading through the entire Lucky247 online casino review here on this page? If so, you'll find the following scores to be exactly what you're looking for! Of course, please read the rest of this Lucky247 review to find out more detailed information about any aspect of this casino you’re interested in though! Just a quick look through the scores above should show you that Lucky247 is a really good place to play – which shows why so many people do just that every day! Why not head to Lucky247 right now and sign up, before then playing one of their many fantastic games from Microgaming? If you're looking to play at Lucky247, you're most likely to elect to use the Flash based casino, just like the majority of other players in New Zealand. If this is the case, you'll need to make sure you have the latest version of Flash Player first. There's also the option to download the software to your computer, which is completely safe to do, and this can be done directly from the Lucky247 homepage. Regardless of the option you choose, you'll still be able to find a massive range of games from Microgaming, which is a sure sign that this is an incredibly high quality place to play. After all, Microgaming haven't become the world's largest software producers by supplying poor online casinos with games! The security features at Lucky247 are plentiful, and you can find out all about them in this Lucky247 casino review. As with all good online casinos, they are fully licensed, and their licence comes from the highly respected Malta Gaming Authority. They are also licenced by the UK Gambling Commission, which is a sure sign that they’re a reliable place to play. eCOGRA, widely regarded as the world’s foremost company when it comes to verifying the honesty and integrity of online casinos, have provided their seal of approval to Lucky247, which means that all of their games are fair, and that the payout percentages are honest and accurate. eCOGRA certification also means that any money deposited at this site is safe. It has to be said that the range of different depositing options available to players at Lucky247 isn’'t really that large, which is strange to see at such a large and well–regarded online casino. Most should still be able to find a depositing method that suits them though, and all deposits are instantly transferred to your online casino account. The minimum deposit amount of NZ$20 is quite high though, and might put off some players from playing at this site. The range of withdrawal options is even less than the ones offered for depositing, however the minimum withdrawal amount is reasonable when compared to other casinos. Withdrawals aren't the fastest around though, and usually take between three to five days. Games are the bedrock of any successful online casino, so it's vital that they are just right. Lucky247 have certainly decided that they want to go for quality over quantity when it comes to the games on their site, and some people reading this Lucky247 casino review might be slightly put off by the lack of games on offer. 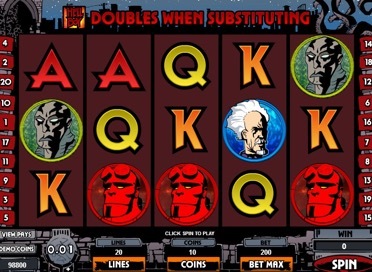 In total, they only offer around 200 games to players, which is half as many as some other sites, however all of these games are incredibly good, as they have been created by Microgaming. The small number of games isn’t the main problem at this site though. Instead, the big problem is the fact that they don’t offer live casino games to players, which is a huge omission in this day and age. It can only be hoped that they add live games to their portfolio soon. Lucky247 have really good customer service. Any contact made with the site will be replied to quickly, and the staff members at this online casino are always helpful, as well as incredibly knowledgeable. The easiest way to speak with a staff member is almost certainly by using the live chat option, however it is also possible to email them or call them. If you do call them though, be aware that you'll be ringing a number in the UK, so the call charges might be quite high. To reduce this cost, it is better to speak to them using a Skype call – an option also offered by this site. When the helpful FAQ section is added to this list of customer support features, it's clear to see that Lucky247 have done a really good job with their customer service. The welcome bonus isn’t all you’ll find at Lucky247 though, as you’ll also find a staggering number of other bonuses and promotions as well. These include happy hour promotions, social promotions and deposit bonuses, plus they also have a really good loyalty scheme. What’s more, new promotions are also added all the time, particularly around specific times of the year, such as major sporting events. If it’s bonuses you like, Lucky247 really is the place for you! Are you the kind of player who likes to play at a casino wherever you happen to be? If so, you need to choose a site with a great mobile casino attached to it. Luckily for you, the mobile casino at Lucky247 is a really good one, and will appeal to all fans of mobile gambling. What's more, it is also accessible by all mobile devices, including less popular ones, such as the BlackBerry. This means that absolutely nobody will miss out on using the mobile casino at Lucky247! Windows Phones also aren’' massively popular in New Zealand, but they can also be used to play at Lucky247. What’s more, all mobile players – not just those playing with a Windows Phone – will receive an exclusive bonus when they sign up, which can be worth up to NZ$250, plus they can also receive up to 50 free spins on the Avalon slot! Any Lucky247 mobile casino review wouldn't be complete without mentioning the two major types of devices in New Zealand, and the first of these is Apple. Both iPads and iPhones work seamlessly with the mobile casino at Lucky247 and, like all other players, Apple users will be able to get access to a large selection of Microgaming games, all of which have been optimised for mobile play, including slots and table games. 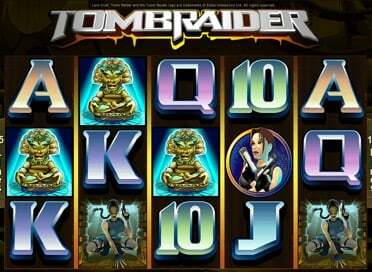 Android users also shouldn't feel left out, as they will also find that playing at Lucky 247's mobile casino is easy. 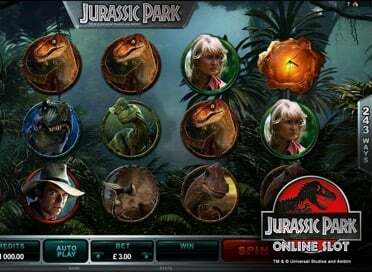 It should be noted that all of the different device types will have to access this casino via a browser though, as there is no mobile app offered by this site. That's not a problem though, simply because the mobile site is such a good one!